Blog > Uncategorized > WE BUILT A WELL IN UGANDA, AFRICA FOR MY BDAY! Exciting news guys! 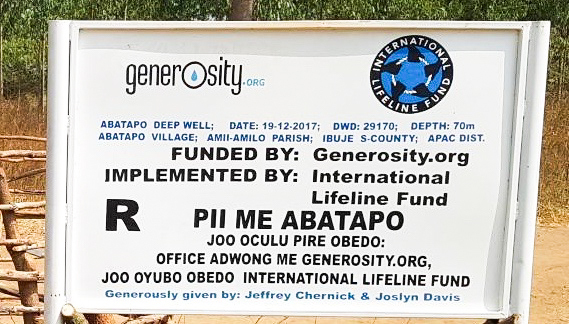 Last year for my BDAY I partnered up with Generosity Water to raise money to (hopefully) build a well to provide the very basic need of clean water to a community people somewhere in the world that was/is in need. Well, I’m elated to report that hanks to the crazy generosity of my family, friends, and followers (who are also friends, duh), we DID IT! 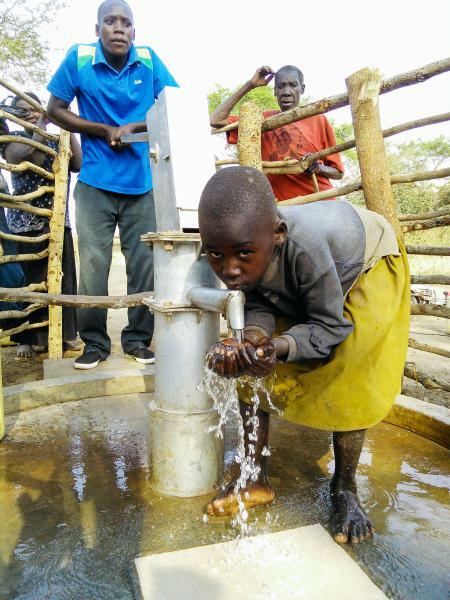 The well went in in Uganda and now provides clean water to 310 ten people in the Abatapo community. 310 people have water! Isn’t that the coolest? It was definitely a HUGE team effort. 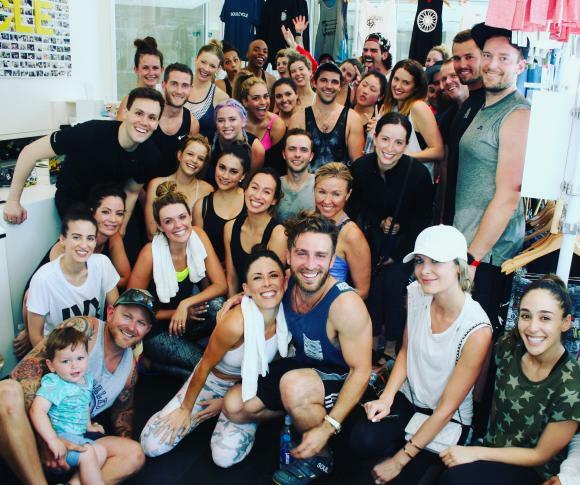 Instead of having a party, Soul Cycle let me bring in a class full of friends and people could donate the cost of the class to Generosity Water instead paying for the class. I was so overwhelmed by the generosity of the people around me. PICS FROM OUR WELL – HOW COOL IS THIS?!? Then, in a fun twist, I asked (translation: I forced) Lily to commit to calling ever single person that donated more than $40, if they lived in the USA. And guys…we’re STILL calling people. There were so many donations we haven’t finished making calls and it’s been a year, so you do the math. LONG STORY SHORT – I’m so excited about the amazing things that can happen when people come together and mobilize to make positive changes. THANK YOU TO EVERYONE that was a part of this amazing project! This entry was posted on Wednesday, April 25th, 2018 at 4:22 am	and is filed under Uncategorized. You can follow any responses to this entry through the RSS 2.0 feed. You can leave a response, or trackback from your own site.